Crash, Boom, Pop! Fully Funded by Kickstarter!! 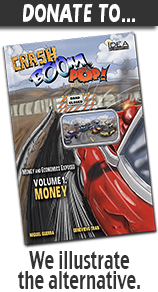 Congratulations to the entire IDEA community for getting the graphic novel rendition of relevant economics funded!